Have you ever walked along a trail and wondered how it got to be there? Have you ever peeled off of the main trail, followed a faint spur, only to have it disappear into a neverending forest? Have you ever studied maps (or Google Earth) and wondered why a certain trail goes a certain way, wondered if you can loop together two intriguing destinations, or wondered how that funny name got attached to that feature? 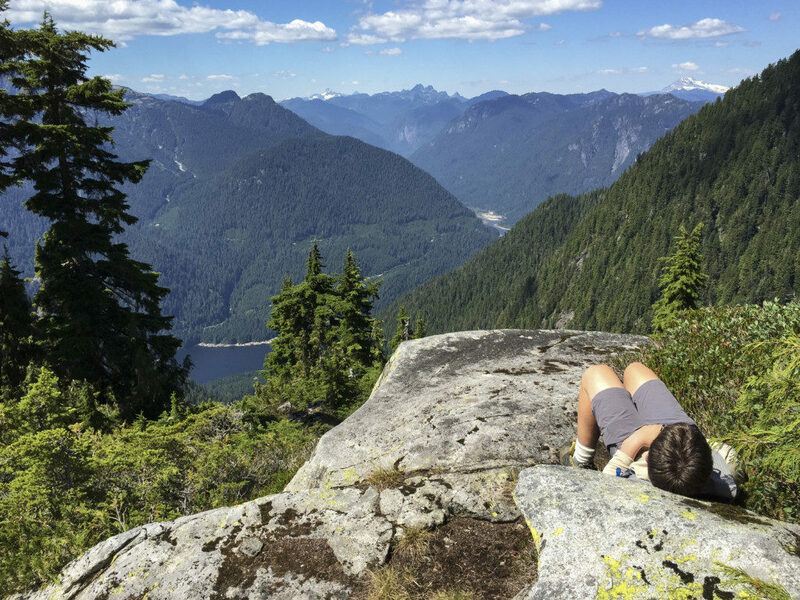 Lucky for us, authors David Crerar, Bill Maurer, and Harry Crerar have answered many of these questions in their recently published guidebook, The Glorious Mountains of Vancouver’s North Shore. This unique book extensively covers the North Shore mountains, touching on over 67 peaks, providing fascinating glimpses of its human history, and imparting essential information for the safe exploration of our backyard. I had the opportunity to touch base with author David Crerar to learn a little more about the genesis of the guidebook and about what went into creating such a comprehensive reference. Please note, this guidebook is quite exhaustive. While it covers a wide variety of trails and ascents for readers of all athletic abilities (and helpfully provides suggested hikes depending on your experience and competence), some routes are serious undertakings. Exploring the area – on any type of trail – involves inherent risk. My partner is a North Shore Rescue member, and from seeing his callouts over the years, I’ve come to appreciate that even though you may be able to see your intended destination from your front porch, hiking in the North Shore mountains is not something to take lightly. When you go out, please be sure to always leave a trip plan, take the 10 Essentials, and thoroughly research and choose a trail that is within your abilities. David grew up on the lower slopes of Mt. Seymour and now lives on the lower slopes of Grouse Mountain. In 2009, he created the Bagger Challenge, a contest to see who could climb the most North Shore peaks in a season. Since then over 700 people have participated and that project led to this book. David is a partner in the commercial litigation group of the Vancouver office of Borden Ladner Gervais LLP. Since 2004, David has served as an adjunct professor at the University of British Columbia Faculty of Law, lecturing in civil procedure. He is the author of Mareva and Anton Piller Preservation Orders: A Practical Guide (Irwin Law, 2017). He is also the co-editor and a co-author of British Columbia Business Disputes, as well as the leading Canadian text on civil procedure, The Civil Litigation Process. 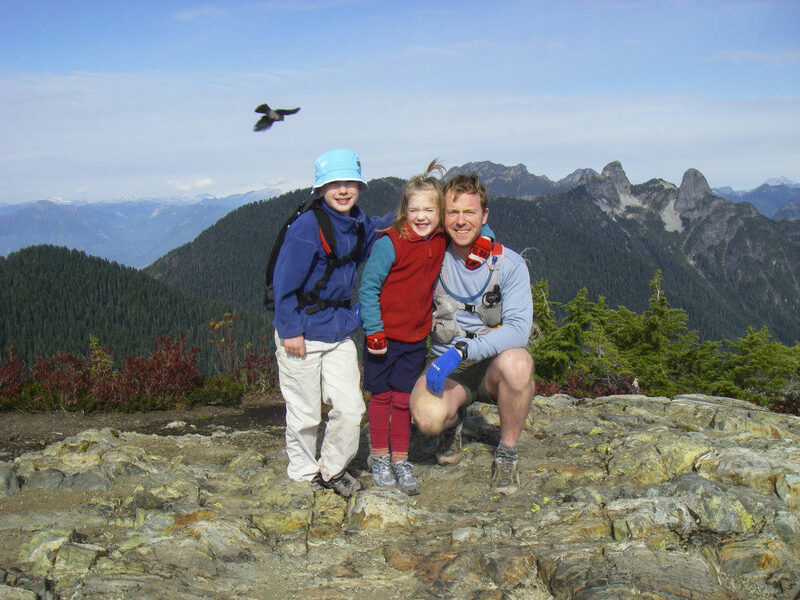 He serves on the boards of the Vancouver International Marathon and the Canadian Media Lawyers’ Association and is a member of the BC Mountaineering Club and the Alpine Club of Canada. David is an outdoors fanatic, and especially loves adventures with his four children on trails, lakes, oceans, and rivers. He has completed more than 175 marathons and ultra-marathons, on road and trail, and in 2018, completed a project to run every single road on the North Shore. He aspires to visit every national park in North America with each of his children. Bill grew up in East Vancouver and began climbing in his late teens. He quickly established a reputation as a peak bagger earning the nickname “do it in a day Maurer” doing day trips in what used to be weekend club excursions. Since moving to the North Shore in 1993, he has been extensively exploring the trails, swimming the lakes, and bagging the peaks in his backyard. In 2011, he discovered the Bagger Challenge, a competition to see who can climb the most North Shore peaks in one season and there was no turning back. 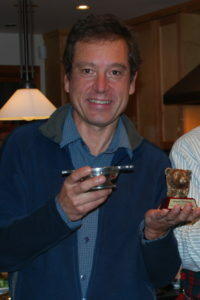 He won the challenge three years in a row and, in 2012, climbed all 63 peaks in a single season in 18 outings. Bill’s love of outdoor adventure sports and traveling have involved him in trail running, packrafting, paragliding, backcountry skiing, cycling, and high altitude climbing. In 2015, he climbed the three Washington volcanoes of Mt Hood, Mt Adams, and Mt St Helens on three consecutive days with his daughter and traversed the Hikers Haute Route in the Alps with his son. He has also summited McKinley, Huascaran, Chopicalqui, Matterhorn, Mont Blanc, Mt Baker, Mt Rainier, and Mt Whitney on earlier climbs. Bill is a life member of the BC Mountaineering Club. 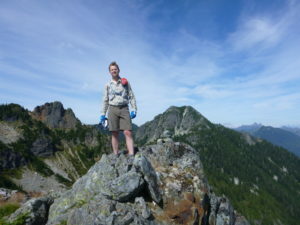 Harry attends Mulgrave School in West Vancouver and has climbed most of the North Shore peaks. He loves to travel and he loves outdoor activities, including hiking, skiing, kayaking, and canoeing. He has run several marathons and half-marathons around the world. He has adventured in many US and Canadian national parks. 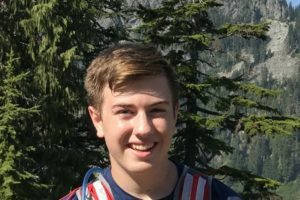 With his father (and co-author) and the rest of their family, Harry lives on the lower slopes of Grouse Mountain, with views of Hollyburn, Mount Fromme, and Mount Seymour from the backyard. A: I’ve always loved exploring the outdoors. I grew up on the slopes of Mount Seymour, exploring the forests and creeks around our house. In 2009, on a trip to run the 95-mile West Highland Way Race in Scotland, I dabbled in peak bagging a few Munros (one of the listed 282 highest peaks in Scotland) – many climbers aspire to climb them all in a lifetime. That led me to come up with a similar list for our North Shore peaks, which led to the founding of the Baggers Challenge – an informal contest to see who could climb the most North Shore peaks in a season. This led to figuring out which local peaks had names and trails, which led to historic research on our mountains and the North Shore in general, which led to the book. Q: What motivated you to focus on the North Shore area? A: I was born and raised on the North Shore and have spent my whole life exploring its beautiful and secret places. The book is a love letter of sorts to my hometown. 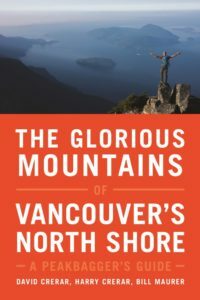 While there are a few excellent books on North Shore history and some hiking guides cover a few local peaks, there has never been a book that focuses on the North Shore mountains, which are really Vancouver’s defining feature, both in terms of their beauty and the ability to go from your downtown office or home to wilderness in an hour. Hiking up a slope to an area that few people have seen gives you a tingly sense of discovery; it was similarly exciting to make new research discoveries and introduce them to readers for the first time. Q: How long did it take you to complete all trails and routes within the book? A: We’ve picked away at them over the past decade. In the first year of the contest, there were 40 peaks listed, now there are 80. We profile 67 in our book. For most of the peaks, we set out turn-by-turn descriptions of the main route as well as various alternative routes, with the detailed routes, highlights, and risks of each. We served as the guinea pigs for many of these routes, and have the scars to prove it! A: I had the idea for the book around 2010 and picked away at it from that point on. The main thrust of research and writing was over three years, from 2015 to 2018. We’re already working on the second edition. Q: The authors have invested a great deal of time and effort into learning and sharing historical detail about the North Shore mountains. Based on this research, what interests you the most about the history of the North Shore and why? A: I was blown away by how much history we have and how that history is generally unknown. Most Vancouverites think of the North Shore as a mere suburb, albeit a pretty one, and have no idea of its rich history. Much of what we’ve included in the book has never before been published. The book contains the most complete collection of traditional names of North Shore mountains (and islands, streams, and other sites), including the names, uses, and legends of the Sḵwx̱wú7mesh/Squamish, Tsleil-Waututh, and xʷməθkʷəy̓əm/Musqueam First Nations. We’ve set out the impressions of the mountains and naming history by Captains Vancouver and Richards. We touch on the early industrial uses of the mountains: the zinc and gold exploration in Lynn Creek and, of course, the extensive logging that blessedly left a few old growth trees. We’ve set out the earliest recorded climbs (there would of course likely have been earlier climbs by Indigenous peoples) of these mountains, where first-ascents of Grouse, Crown, and the Lions were headlined stories in the local newspapers, and then the frenzy of peak-bagging by early members of the BC Mountaineering Club. We cover many of the historic mishaps and rescues on these peaks, and the move from ad hoc rescues by local climbers to the amazing organizations of North Shore and Lions Bay Search and Rescue that protect us today. Q: What resources did you find most valuable when gathering historical information for the book? A: The wonderful people and resources of the North Vancouver Archives were invaluable. 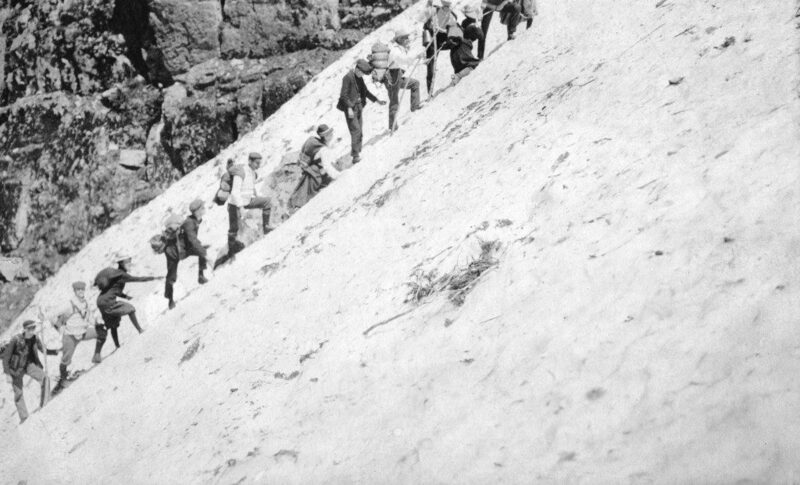 In addition to maintaining large stores of information (that is largely unpublished) on the mountains and history of the North Shore, they house the BC MC archives and the personal fonds of the Macarees, the authors of the first editions of 103 Hikes, and some amazing photo albums of Vancouver climbers in the early 20th century. This information allowed us to rediscover early names for some of these peaks (e.g. Echo, Forks, Clementine, and Jarrett). Harry and David Crerar also logged in many hours at the Royal British Columbia Archives and the BC Geographical Names Office (Victoria), the City of Vancouver Archives, the West Vancouver Archives, the Vancouver Public Library Special Collections, the Union of British Columbia Indian Chiefs Resource Centre, the UBC Archives and libraries, and the Whyte Archives (Banff), combing for clues about our mountain heritage. Q: Does the book cater to outdoor enthusiasts of all abilities? A: The book should appeal to all people who love Vancouver, even those who never venture outdoors. 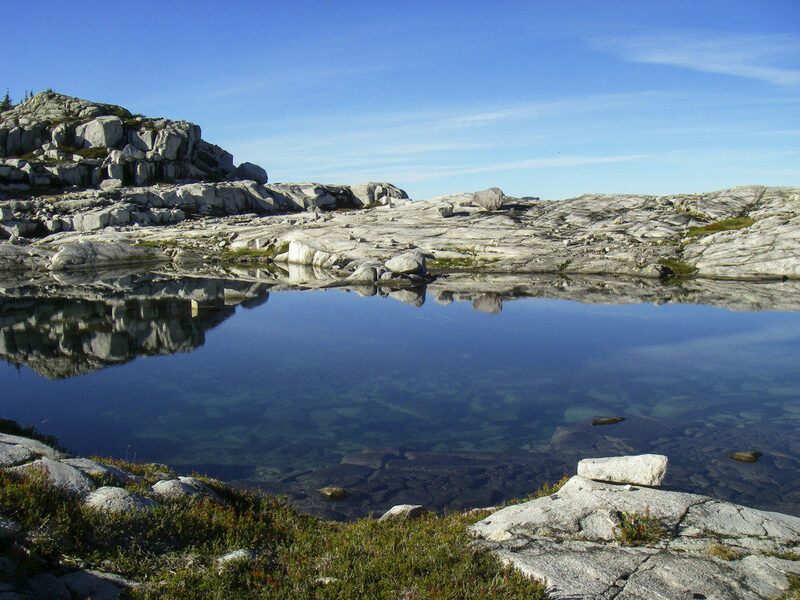 Although its primary focus is a trail guide, we’ve researched and assembled tonnes of mountain and North Shore history, with guides to its flora, fauna, and geology. Even non-hiking readers can find interest in the secrets of the North Shore mountains, including waterfalls, old growth trees, old logging camps, mines, plane crashes, geocaches, cached whiskey, and our photographs, which we like to think are pretty gorgeous. As for the hiking, we’ve ranked and rated every mountain for suitability for kids and beginners, and there are many trips, such as Dam Mountain or Pump Peak, that are great kid adventures. The first list in our appendix provides a sort of baby-steps progression of hikes based on ability and experience – don’t try an “Advanced” hike until you’ve mastered those listed as “Intermediate”. That said, our book covers a wider difficulty (and risk) range than, say, Stephen Hui’s excellent and recently-published 105 Hikes. We have some well-marked and well-trod trails, like Mt. Seymour and Hollyburn Mountain, but we also have more difficult scrambles (such as West Lion and Hanover) and trips that are not formal trails but rather routes (such as Coburg). Those hikes are obviously only for those with extensive experience in the wilderness. Q: Were you able to include all the trips you wanted? A: Generally yes, our publisher was very generous in letting us describe multiple routes with many mountains, along with copious historical and natural background. It’s a whopping 504 pages! Q: Will you be hosting an online area where readers can go for updated trail and/or access conditions for the hikes in your book? A: Yes, our website and Facebook page. They already are chock-full of useful resources, like a bibliography, hiking and historic links, peak photos, and more. Bill Maurer, who did the maps and GPS routes, plans to keep the maps up-to-date and will post updated versions on the website for readers as conditions change. Q: What are your favorite and least favorite peaks in the book? A: My favorite is Mt Bishop (although — WARNING — it is a long and potentially dangerous hike that should only be done by experienced and well-prepared hikers!). Bike to the end of the Seymour Trailway, cross the Bear Island bridge, stash your bike, and climb past old-growth trees with occasional fun rope. Admire the fairyland setting of the Vicar Lakes and then climb up Bishop, a slabby granite playground. Bask in the views of both Seymour Lake and Indian Arm, descend, and take a swim in Vicar Lakes. Bike home and sleep well for a day well-earned and well-enjoyed. In our appendix, we list a few peaks under “Only do to check off the list.” Grouse itself is not much of a hike, for example, the trail is a slippery road, and there are killer grouse guarding the summit in spring. But even those peaks have their joys. Q: What is your favorite trail, mountain, or area to explore outside of the North Shore? A: David and Harry Crerar are Canada and US National Parks fanatics and have had some grand adventures in them, including the West Coast Trail, the Grand Canyon Bright Angel traverse, and the Zion West Rim traverse as some of the favorites. I have loved introducing my kids and friends to the otherworldly beauty of the Garibaldi Lake-Panorama Ridge-Black Tusk traverses, but the Enchantments in Washington is probably my favorite hike – pristine glacial lakes and snaggle-toothed volcanic peaks, with happy roaming mountain goats everywhere. Q: Based on your experience and the numerous trips you’ve completed for this book, is there any outdoor practice or behavior you’ve seen from fellow hikers that you would like to see changed or eliminated? A: Trash on the trail is obviously disheartening but luckily pretty rare on our trails. Generally, most hikers treat nature and other hikers with respect and allow everyone to enjoy the beauty and peace of the mountains with minimal intrusions from others. Don’t treat an adventure like a mobile beach party; don’t blare tinny music out of your iPhone or sit around and block a trail if you’re hiking in a big group. That said, most people who breach basic trail etiquette are not evil, but are simply new to the trails and don’t know any better. We give some etiquette tips in the introduction. Q: Given some of the remote peaks you have traveled on the North Shore, what emergency gear do you typically carry, and have you ever had to use it? A: In our age of ultralight equipment, there is no excuse for not packing the 10 Essentials. I’ve only had one unexpected overnighter, where we were too ambitious in trying to bag one…more…peak above the northern end of Indian Arm: the water filtration system, extra food, and bivy-sack saved our bacon. I was also carrying a costume bishop’s mitre (i.e. hat) for the Mt. Bishop summit shot, it made a good pillow. Our book emphasizes safety and preparation throughout. Q: Given the rarity and difficulty in accessing some of the included peaks, do you have any advice for readers on how to prepare and avoid being a potential search and rescue subject? A: We’d urge the reader to read the whole book! As mentioned above, it contains a broader range of difficulty than your typical hiking guide, don’t just photocopy a given hike and assume that it is a well-marked and well-trod trail. The introduction to the book covers all aspects of safety, and the appendices list and rank the peaks in terms of difficulty, time, danger, and whether it is a trail or requires route-finding. Each peak profile itself, in turn, provides these ratings and warnings, and we morbidly tell tales of deaths and injuries on each peak. And always hike with a buddy! If you’d like to meet David Crerar and the authors, the BCMC is hosting a presentation at the Anza Club on September 11th at 7:00pm. For more details, check out the BCMC website: https://bcmc.ca/m/events/view/1531032107. A heartfelt thank-you to David, Bill, and Harry for the time, effort, and attention to detail that went into the guidebook. And thank-you to David for connecting with me about the guidebook. I received my copy earlier in the week and I’m looking forward to exploring the history of the North Shore!